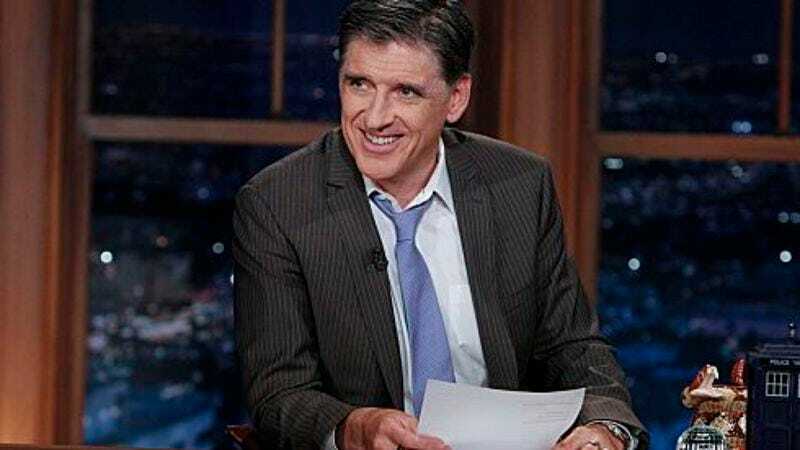 Deadline reports that Craig Ferguson will get a little help from Metallica as he winds down his tenure as host of The Late Late Show. Following in the footsteps of Justin Timberlake and Foo Fighters, the elder statesmen of metal will drop in for a weeklong musical residency from November 17 to 21 that will see them performing and chatting with the outgoing host. They’ll be plugging both their new vinyl reissue campaign and the 10th anniversary re-release of the documentary, Some Kind of Monster, the movie that revealed that watching Lars Ulrnich and James Hetfield bicker like an old married couple is totally metal. While Metallica can’t ride the lightning like it used to, building some shared buzz with Ferguson during a Nielsen sweeps week may be the next best thing.